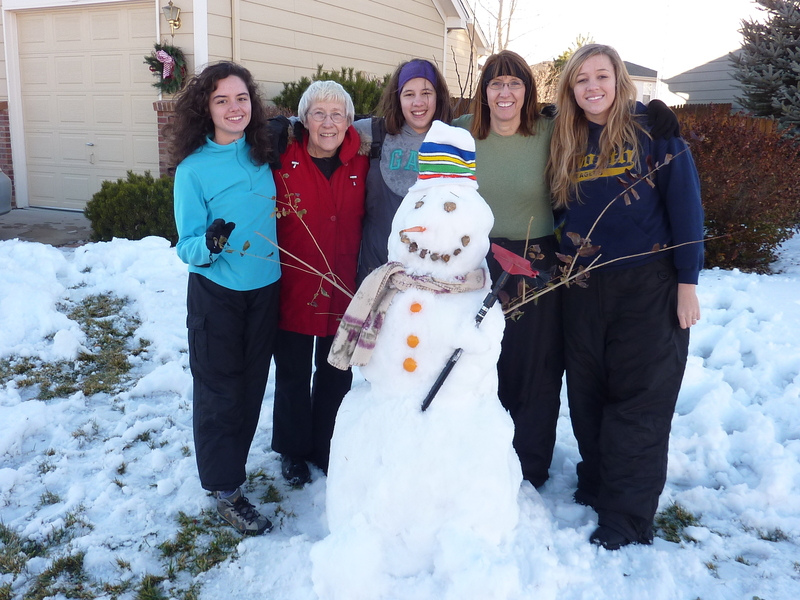 Left to Right… Felipe (Barros Family Exchange Student Daughter from Portugal), Ruth Meyer (our mom), Jenae Barros (my niece), Nila Meyer Barros (my sister), & Haylee Barros (my niece)…all having fun in Colorado! My mother, Ruth, trained her girls well…she taught us the LOVE of Cooking! My sister, Nila is a fabulous cook, and she shared some photos and recipes from their trip to my parents house in Colorado…delicious Hearty Hashbrown Soup, Garlic Monkey Bread & Quick Tossed Salad. I thought this was the perfect time to pass along some easy and delicious winter recipes. Enjoy! PS. Click here for photos of some of our other cooking from our parents house in Colorado. Hearty Hashbrown Soup… This is so easy to throw together and you’ll probably have most of the ingredients on hand. You can make it ahead of time and keep it going in the Crock Pot for an easy meal to come home to, or mix it up at the last minute! A delicious meal on a cold winter evening! 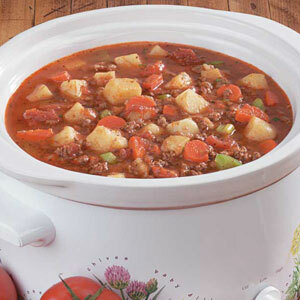 Click for Hearty Hashbrown Soup recipe. 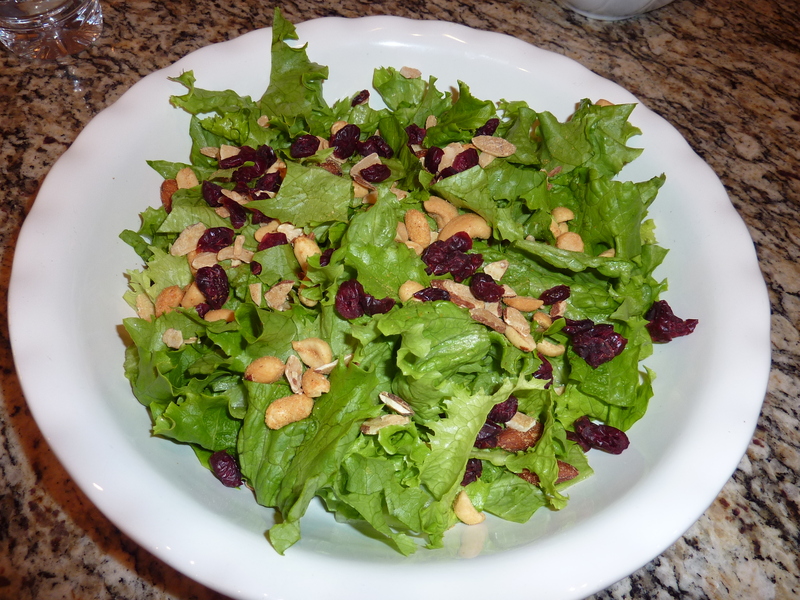 Quick Tossed Salad… No recipe needed for this one. Just open the fridge, put some greens into a bowl, then open the pantry and see what you might throw in on top. Nila used dried cranberries, cashews and almonds this time, and other delicious toppings would be croutons, dried blueberries, mandarin oranges, sunflower seeds, etc. 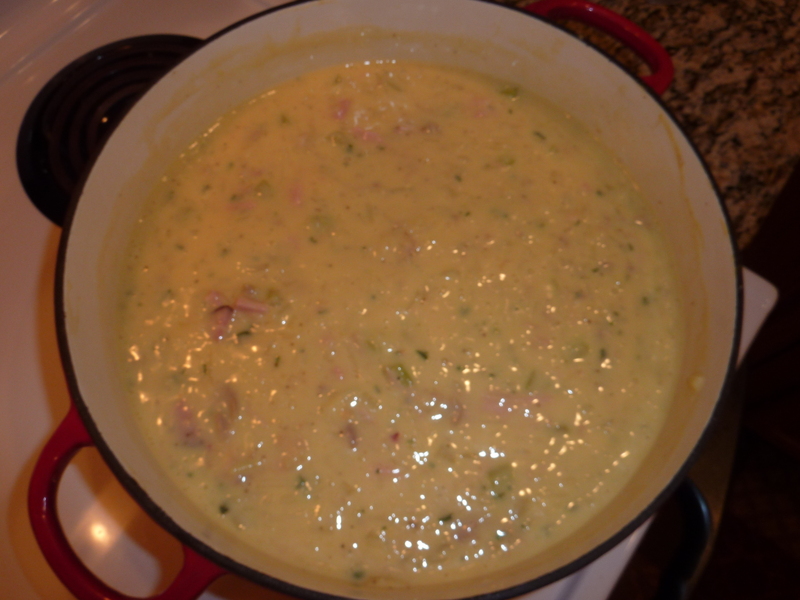 When I called my mom, Ruth, for this recipe, she said …”Vicki, I think that one came from you!” Hahahah! It had been a long time since I had made this, but it is so easy and delicious. This is a great recipe for when you have little helpers in the kitchen. You can keep them busy dipping the dough into the butter and garlic mixture, and it bakes up fast. It is the perfect accompaniment to a winter soup meal, and most of us have refrigerated biscuit dough in the fridge. 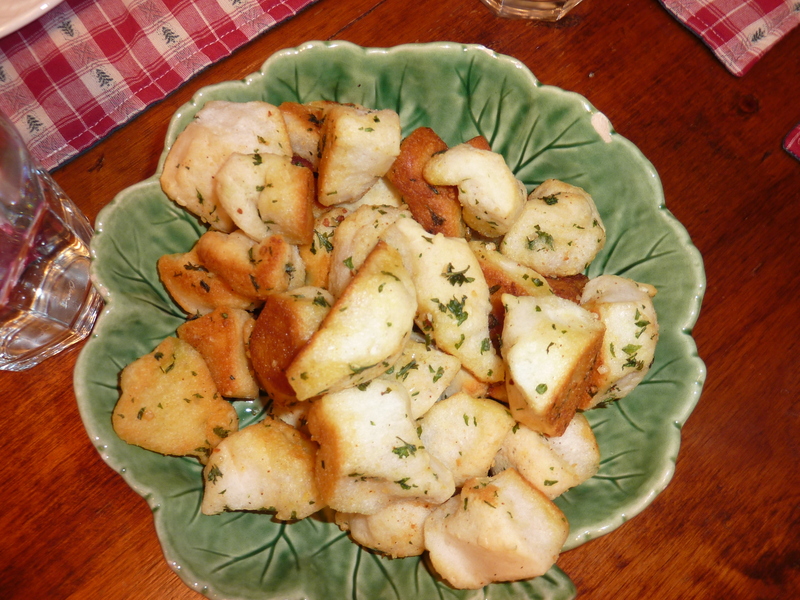 Click Here for Garlic Monkey Bread recipe.